It's been a long time since I've posted. To be honest a lot has been going on--mostly fabulous things--but they were time consuming, of course. Some writing happened as it always will, but absolutely no selling or attempts to sell my novels occurred much to my dismay. This very lack of focus on getting my writing out there is why I believe I'd make a terrible indie author. I have five novels now that are ready to go, mainly just need a last copyedit. They have been revised and edited again and again until I'm tired of looking at them. I can write all the time; it just comes to me easily, this innate part of my brain that flows with ideas and imagination. I've named her my muse. The muse hates research, especially looking for agents and publishers and learning enough about each to write a semi-personal query letter. I was looking back thinking about what I could write about for a blog entry when I came across my post almost a year ago about crowdsourcing. I had really though hard and long about trying it out, but each site I saw had a drawback for me: you upload an entire book, or was limited to genre specific or had limited books selected or a small audience. 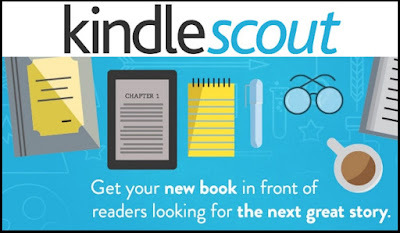 But on a recent search to see the lie of the land, I discovered Kindle Scout. I dove in to see what it was like, as a reader. I love the idea. In a week, I read the beginnings (5000 words) of twenty something books--some great, most good, some a bit wanting--but all had potential to be published one day. Some of the authors were already published but trying a different genre and some were aspiring authors. Basically, the books are on there for thirty days and I get to nominate three at a time. If the book gets published, I get a free copy of the full length novel. It's a neat way to get some free books. The amount of readers is unclear, but when I started without points (they rank you to get competitive to gain points) I was ranked in the high 500's. And anyone with an amazon account can nominate through the website. As a writer, you create a platform and "campaign" your book to gain popularity and to have people nominate your book. When things run "hot," meaning lots of people are checking it out and nominating it, Amazon will look at it and might publish it. The publishing perks are actually very competitive: $1,500 advance, and a 5-year contract where if you do not make $25K in that time frame, your rights go back to you. If the novel doesn't make anything--less than $200 the first year--you are let out of your contract. The 30-day window allows competition, but not too much (I saw maybe 50 books in each genre) and only holds up your novel for a month. 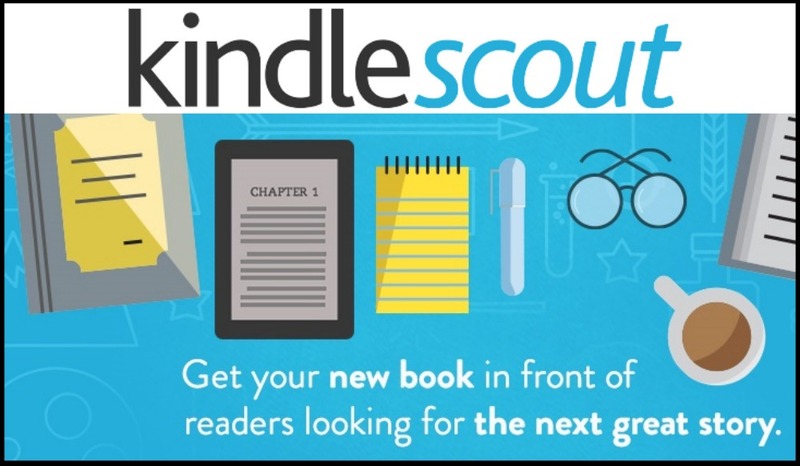 They will legitimately publish your book and promote it. There really seems to be nothing to lose for the author. Every now and then they will give editorial advice for your sample as well. It seems too good to be true, but the stats are showing hundreds of books being published a year with these books appearing all over the website (seems to crowd out some of the indie authors that still need revisions). This really seems like the beginning of a forum for publishing companies to scope out what used to be indie authors and separating great self-published authors (and making them published authors) from those who really struggle making a refined (or even copyedited) product. Since all authors are expected to sell their novels as well, this seems a great way to have a publisher and promote your book yourself. Since there is nothing to lose, I think I'm going to go for it. Stay tuned for when I post again about my campaign and nominate me please.